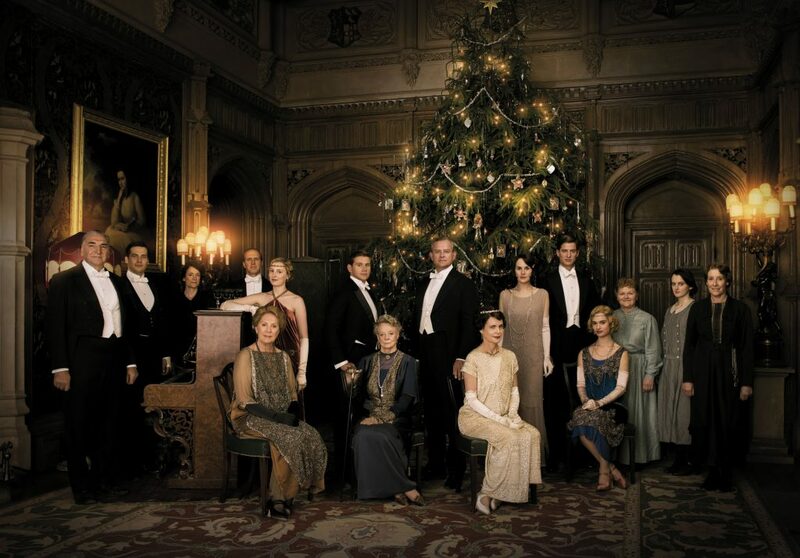 It’s the most wonderful time of the year – if you love Downton Abbey, because we’re showing every episode from all six seasons over Christmas weekend. The marathon starts Friday, Dec. 23, at 8 p.m. and concludes Monday, Dec. 26, 10:30 p.m. We’ll leave Downton briefly to air a new Call the Midwife Holiday Special on Sunday, Dec. 25, at 6:30 p.m. Consider that a stocking stuffer just for being extra good this year. In this year’s Call the Midwife Holiday Special, the Nonnatus House team heads to South Africa to help out a tiny mission hospital. Here’s a list of the other holiday treats we have you this season. And remember to kick off 2017 with The Six Thatchers, the Sherlock on Masterpiece Season 4 opener, airing New Year’s Day at 8 p.m.
Monday, Dec. 19, at 8 p.m. Broadway star Laura Osnes and actor Martin Jarvis are this year’s featured artists for Christmas with the Mormon Tabernacle Choir. Four Metropolitan Opera soloists will also join the performance. Tuesday, Dec. 20, at 7 p.m. The season-nine Voice winner released an album of holiday standards this year and performs them in his first concert special, Jordan Smith ’Tis the Season. Tuesday, Dec. 20, at 11 p.m. Journey to Trondheim, Norway, for an evening of holiday favorites in Christmas in Norway with the St. Olaf Choir. Thursday, Dec. 22, at 8 p.m. Enjoy the 2015 Christmas at Belmont concert showcasing the university’s student ensembles along with guest performers. Grammy Award-winning artist Kathy Mattea hosts this special recorded at the Schermerhorn Symphony Center. Thursday, Dec. 22, at 11 p.m. Keith Lockhart conducts Happy Holidays with the Boston Pops, a new program that includes the orchestra’s signature rendition of Leroy Anderson’s “Sleigh Ride”; a reading by Mad Men and Broadway star Robert Morse; and a performance by country artist Sara Evans. Saturday, Dec. 31, at 8:30 p.m. The annual New York Philharmonic New Year’s Eve on Live from Lincoln Center features mezzo-soprano Joyce DiDonato in a performance of classics by Rodgers & Hammerstein and other American composers. Musical director Alan Gilbert conducts in his final season with the orchestra. Sunday, Jan. 1, 2017, at 6:30 p.m. Another tradition, Great Performances’ annual presentation of the Vienna Philharmonic’s New Year’s Celebration, is once again hosted by Julie Andrews. Gustavo Dudamel of the Los Angeles Philharmonic serves as the orchestra’s guest conductor. Friday, Dec. 16, at 9 p.m. Lidia Bastianich returns in a new special, Lidia Celebrates America: Holiday for Heroes. This year the chef/cookbook author visits veterans in four states and hosts a holiday dinner for 250 active duty Navy troops aboard the USS George Washington at the Naval Station Norfolk. Tuesday, Dec. 20, at 9 p.m. Explore holiday traditions in the United Kingdom, Scandinavia and Europe in Rick Steves Special: European Christmas. 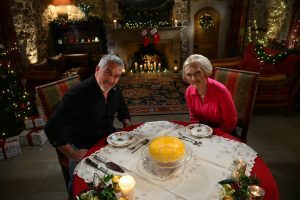 Thursday, Dec. 22, at 9 p.m. Mary Berry and Paul Hollywood were exacting judges on the popular Great British Baking Show. In the Christmas Masterclass episode, the pair demonstrate how to create spectacular holiday treats. Saturday, Dec. 31, at 10 p.m. Prepare for tomorrow’s Viennese celebration by watching Bare Feet with Mickela Mallozzi as the host learns how to waltz. Finally, what would the season be without evergreen holiday episodes of Keeping Up Appearances and the Lawrence Welk Show? Watch them Saturday, Dec. 17 and 31. 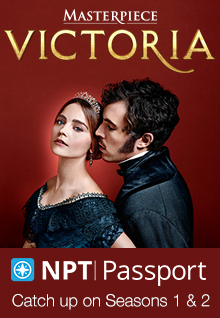 Find our complete viewing schedule for NPT and NPT2 at wnpt.org/schedule. This entry was posted on December 16, 2016 at 2:34 pm. You can follow any responses to this entry through the RSS 2.0 feed. You can leave a response, or trackback from your own site.